Key Difference: Civil law is the body of law that deals with disputes between two citizen parties. It ensures to maintain peace and tranquility between the members of its society. Civil law does not in any case deal with any criminal activities, only normal disputes between the defendant and the prosecutor. Criminal Law is the body of law that deals with crimes and providing justice to victims of crimes. The body is responsible for regulating the laws regarding threatening, harming, or otherwise endangering the health, safety, and moral welfare of people. Rules, laws and acts are important to almost any organization or country. The rules and laws ensure that there be peace and tranquility maintained among the people. Laws also ensures that everyone is treated the same and people that disobey the laws must pay for their crimes and that no criminal is placed above the law based on their social standing. There are various different types of laws that often confuse people because of their technical wordings. Civil law and criminal law are two different types of laws that are often confused because of their similarity in nature. However, they differ from each other in various ways. The term civil law can be used to refer to two different concepts. The term can refer to the civil law legal system that is used as the legal system in many countries and is used to determine laws and punishment of the law breakers in that country. Another concept is the body of law that helps resolve disputes between two or more parties. This latter concept is the one that is going to be explained in this article. Civil law is the body of law that deals with disputes between two citizen parties. It ensures to maintain peace and tranquility between the members of its society. Civil law does not in any case deal with any criminal activities, only normal disputes between the defendant and the prosecutor. A very popular example of civil court is Judge Judy. Everyone knows that show and everyone has watched at one time or another. Similar to the cases dealt with on that show, a civil court is responsible for solving disputes regarding damage to property, inability to pay child support, money lending or borrowing, divorce, domestic violence, etc. The defendant is also never jailed, or executed for his crimes in a civil law suit. The most common punishments include fines paid to the prosecutor if the defendant is found guilty or vice versa if the defendant wins. Criminal Law is the body of law that deals with crimes and providing justice to victims of crimes. The body is responsible for regulating the laws regarding threatening, harming, or otherwise endangering the health, safety, and moral welfare of people. It also deals with punishing the people that break these rules. 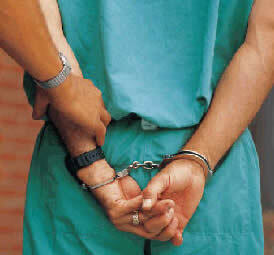 Criminal law deals with strict punishments such as arrest, confinement, fines and even death. Wikipedia states the five objectives of criminal law that are widely accepted are retribution, deterrence, incapacitation, rehabilitation and restoration. Retribution is when the criminal is made to pay by any means. The theory is based on righting the scales between the criminal and the victim. Deterrence is the goal to impose a hefty enough fine on the criminal that it would discourage other people from doing the same crime. Incapacitation is to keep the criminal away from the society and to protect the public. Rehabilitation aims at reforming the criminal into a member of the society. Finally restoration is to make the criminal pay the victim back for the crime. This is often used in embezzlement and other money related disputes. The range of the punishment varies depending on the crime committed by the criminal. There is also an international criminal court in The Hague to punish people that have committed ghastly crimes around the world. There are certain differences between civil law and criminal law. Criminal law requires that the defendant break a statute law for him to be held accountable for the crime. In civil law, the defendant is held accountable for non-criminal activities. Also in criminal law, the case is between the state and the criminal, while in civil law the case is between two disputing parties. In criminal law, the government would file the lawsuit, while in civil law the plaintiff will file it. The punishments for both also differ. In civil law, the defendant or the plaintiff must pay fines to the other party. 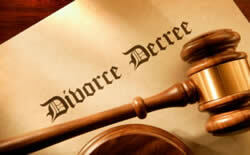 However, in criminal law, the criminal can be punished by incarceration, fines, and even execution. Another difference includes the burden of proof. In a civil lawsuit, the plaintiff and the defendant is responsible for the providing the proof, while in criminal lawsuits, the state would provide the proof against the defendant.